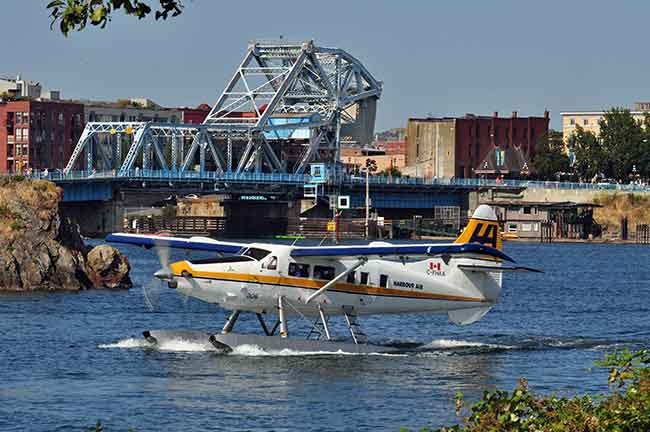 Canada has the highest volume of seaplane operations in the world. The Transportation Safety Board of Canada (TSB) estimates that in the Vancouver Harbour alone, about 300,000 passengers travel on about 33,000 seaplane flights each year. The Canadian Aviation Regulations (CARs) currently require that a personal floatation device (PFD) is carried for each person onboard the aircraft. Occupants are not required to wear the PFD during the flight. Additionally, commercial seaplane pilots are not required to have underwater egress training, which teaches potentially life-saving strategies for exiting a submerged plane. The TSB has often highlighted the high risk of drowning for occupants of seaplane accidents on or above water. Ultimately, the issues can be narrowed to two areas: limited access to life saving equipment or resources, and inadequate preparedness or training. In the event of a collision over water, occupants who survive the initial impact may be unable to locate and access escape routes. Alternatively, survivors may be focused on escaping the submerged aircraft and may not have sufficient time to locate and don a PFD. Tragically, the TSB estimates that half of all people who survive the initial impact are unable to exit the submerged aircraft and drown inside the vessel. Moreover, 86 per cent of passengers who safely escape the submerged aircraft subsequently drown awaiting rescue. In November 2009, the pilot of a commercial seaplane initiated a left hand turn shortly after take-off from Saturna Island, B.C. During the turn, the left wing dropped, the nose pitched down, and the pilot applied maximum power. The atmospheric conditions and bank angle caused an aerodynamic stall. The aircraft descended rapidly and collided with the water. The surviving pilot was able to escape the aircraft using skills he learned in an underwater emergency training course taken six weeks earlier. The other surviving passenger (after initially moving away from the exit in order to stay above water) was eventually able to safely locate the submerged escape route. Neither survivor retrieved a PFD, but instead held on to nearby floating objects. Though the impact was considered survivable, the remaining six passengers were unable to escape the aircraft and ultimately drowned. Following the accident, the TSB made two safety recommendations. First, the TSB recommended that the Department of Transport require all new and existing commercial seaplanes to be fitted with regular and emergency exits that allow rapid egress following a survivable collision with water. Second, the TSB recommended that the Department of Transport require that all occupants of commercial seaplanes wear a PFD prior to boarding and during operations on or above water. The proposed changes also include a new pilot training requirement. Commercial seaplane pilots are to undergo specific training (and recurrent training every three years) to facilitate underwater egress after an accident occurs, and to further mitigate the risks associated with exiting a seaplane following an accident. Operators are also subject to additional rules depending on the nature of their operation. Canada is the only country that has proposed the mandatory wearing of PFDs by seaplane passengers. The changes have raised valid criticisms in the industry, including concerns about premature/inadvertent inflation hampering timely escape, equipment durability, discomfort, increased costs, and limited access to training for pilots stationed in remote areas. Time will tell whether these measures have the potential to increase the likelihood of survival following a seaplane accident over water. Michael Dery is a partner in the Aviation Practice Group at Alexander Holburn Beaudin + Lang LLP. The Aviation Practice Group handles legal matters of special concern to the aviation community across Canada as well as internationally. For more information, please see www.airlawblog.com.